- We also provide vessel agency services at all the ports of India through our own offices as well as our associate offices. - We provide agency services such as Charterers agents, Owners Protecting agents, Sub agents. Bulk Cargo Logistics’ professional handling of vessels at ports of call ensures efficient dealings with port authorities, quick requisition of ship requirements, and quick turnaround of the vessel. We handle all the requirements of the vessel or crew with equal efficiency. Our team of experts takes care of all vessel agencies at the Port of Visakhapatnam. We aim to achieve quick berthing of vessels, along with quick and efficient cargo handling operations. Our primary goal is to make sure all requirements of the vessel owners are met to their utmost satisfaction. The company is registered by Companies Act, Govt of India, & provides agency services, crew handling & vessels movements. 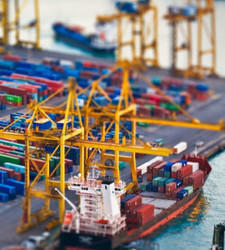 We provide inhouse Vessel Agency Services to our clients and also have tie ups with major vessel owners. The Company have vast experience in handling of all types of Vessels, Tankers, Barges, Costal vessels. We have handled vessels carrying all verities of cargos like iron ore, Mill scale, Coal of different types, Crude Oil Edible Oils, Fertilizers, Steel Plates and variety of steel cargoes, Manganese Ore , Rice, Sugar, Wheat, Timber, Fishery products and many more. A separate division of AYCA also undertakes marketing of specific telecom products and technologies. The service extends to project identification, project implementation, project financing, project monitoring. 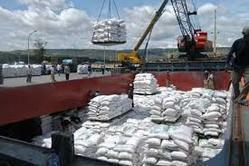 - We provide Ship Agency services at all Gujarat Ports. Our services cater to the needs of the Ship Owners / Operators / Managers and Charterers / Traders. Over the years Flamingo Shipping has grown to meet the needs of some of the world’s largest companies. Container vessels, to tankers, car carriers, dry bulk carriers to cruise vessels and trampers, we understand the business we are in explicitly. Flamingo Shipping & Forwarders Private Limited.